Here's just one more variation on how to get a CSV into a table format. It could have been done before but my google-fu couldn't find it anywhere. 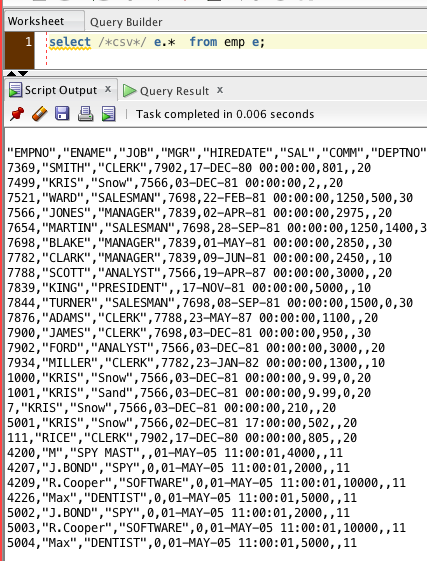 First to get some sample data using the /*csv*/ hint in sqldev. Then the results of putting it back to a table. The inline plsql is just to convert the text into a CLOB. 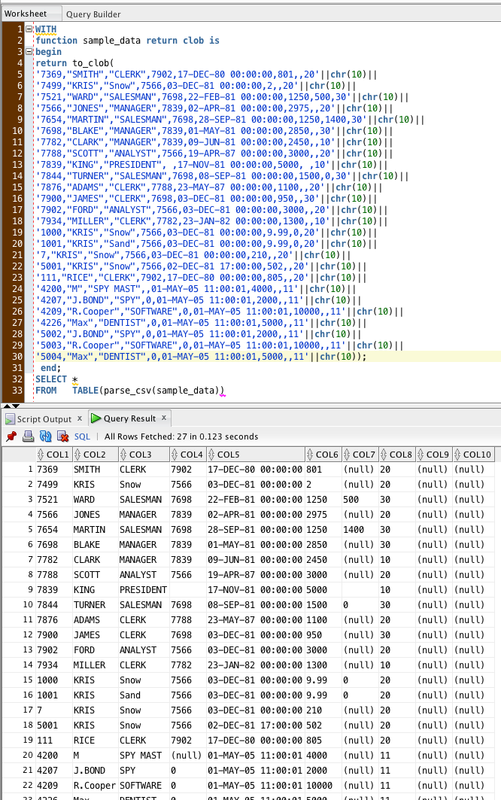 The csv parsing is completely borrowed(stolen) from another Chris where he create a csv parser in plsql here. The changes I made which is probably obvious to use a plsql object and table of said object to put into a form that can be use in sql. I'm sure there's optimizations that could be added in here since I almost never use plsql object. But here's the code that renders the above results.